Home › Tax › Do You Save More In States With No Income Tax? 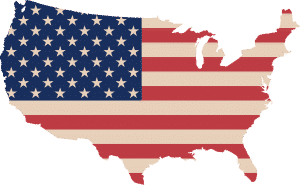 In the United States, there are seven states with no income tax but do you save more by living in these states or do state governments find other ways to nickel and dime you that end up costing more when you factor in all your tax payments? Here is a list of states with no income tax and other taxes you should keep in mind before upping and leaving to a new state. What Are State And Local Sales Taxes? You might naturally wonder how these states can afford to charge no income tax to residents. If other states in the union need income tax revenue to finance projects, and pay for infrastructure, schools and government salaries, why not these states with no income tax? States with no income tax find other ways to balance their budgets, such as higher sales taxes and property taxes. Each of the states without income tax have found their own ways to earn revenue without charging residents income tax. The Sunshine State is well known as a tourist haven with attractions like Walt Disney World theme park in Orlando. With so many non-resident visitors each year, it makes more sense for Florida to impose high sales taxes than charge an income tax. After all, income tax only applies to residents but sales taxes apply to residents and tourists alike. In Florida, the sales tax (state and local) and property taxes are close to average levels nationally. Like Florida, Nevada benefits from tourist dollars. And while both states have sandy surroundings, Nevada’s tourists spend most of their time indoors at casinos. The fees and sales taxes from gambling proceeds are a source of state income that enables Nevada to keep its state income tax at zero. Combined state sales and average local tax rates in Nevada are among the highest in the country. Together, they total 7.98%. Texas falls just outside of the top 10 U.S. states with highest combined sales and local tax rates, but not by much. It’s almost neck and neck with Nevada; Texas charges a combined rate of 8.19%. Plus, property taxes are comparatively high in Texas relative to other states in the Union. So, while you may not pay a dime in income taxes, you end up paying a pretty penny in sales and property taxes. Washington does not charge any income tax but it more than makes up for lost income tax revenue in the form of sales tax, one of the highest in the nation. In fact, Washington sales taxes are so high that it ranks in the top 5 states nationally. Property taxes in Washington are just north of 1% annually, which is more in line with Nevada and Florida than Texas. Wyoming is fortunate to be rich in coal and other natural resources, which supplement state revenue. Combined state and local sales taxes of 5.40% also bring in tax dollars but they rank among the lowest in the nation at #44 on the list of 50 states. Average property taxes are also comparatively low in Wyoming – just 0.646% on average based on rates in Laramie County according to smartasset. Alaska is also resource rich with plentiful oil supplies. In fact, Alaska is so rich with oil that Alaskan residents received dividends of $1,022 each from the 2016 Permanent Fund. While sales taxes are so low at just 1.76% that they nearly win the prize for lowest in the nation, property taxes are fairly high compared to many other states at 1.355%. Combined state and local sales taxes in South Dakota push the combined sales tax to 6.39% which still features in the lower half nationally. Although income taxes are nil and sales taxes are not especially high, property taxes are a fairly hefty 1.281%. Wage earners in Tennessee and New Hampshire get a break on income tax but dividends and income on savings and investments are taxed, so baby boomers and retirees must fork over earnings on their nest-eggs. When you factor in state plus local sales tax rates on average, Tennessee only barely misses out on the top spot of most expensive state in the nation – Louisiana takes the prize. Tennessee property taxes are fairly low however at just 0.774% though the same cannot be said of New Hampshire property taxes which are a whopping 2.205%. Did you move to a different state for tax reasons? Are you thinking about moving to lower your cost of living? Share your experiences in the comments below, we would love to hear from you. ‹ Why Is Michael Burry Investing In Water?